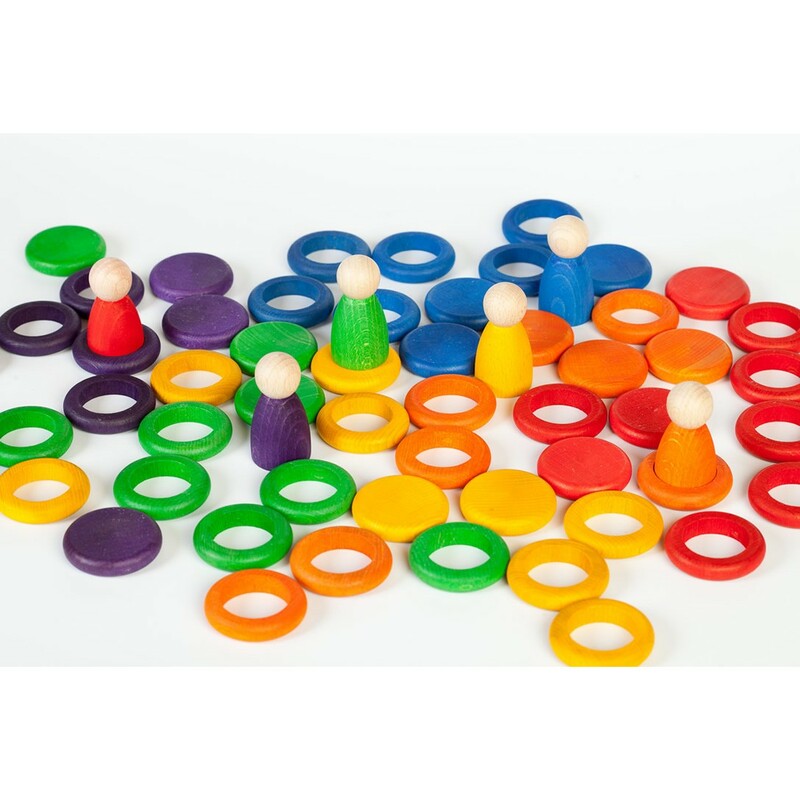 These Grapat "extras" toy sets include wooden rainbow colour rings in a selection of set sizes and are packaged in simple bag. 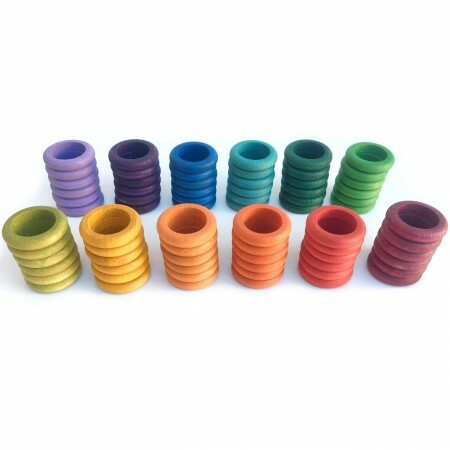 Choose pack sizes of 36 or 72 rings in a rainbow of 12 different colours. 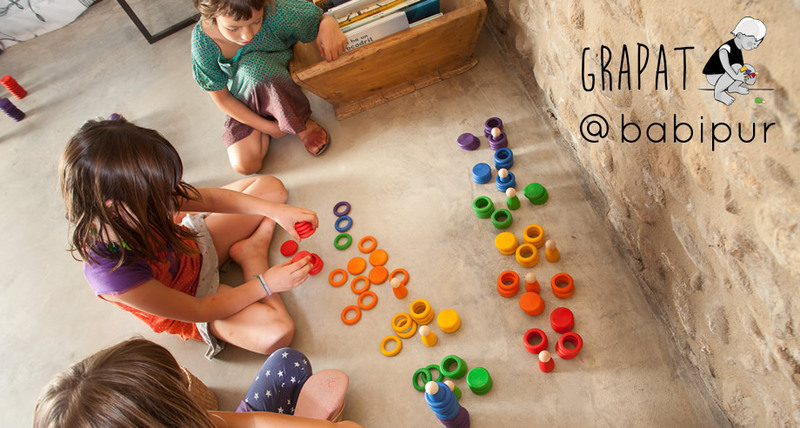 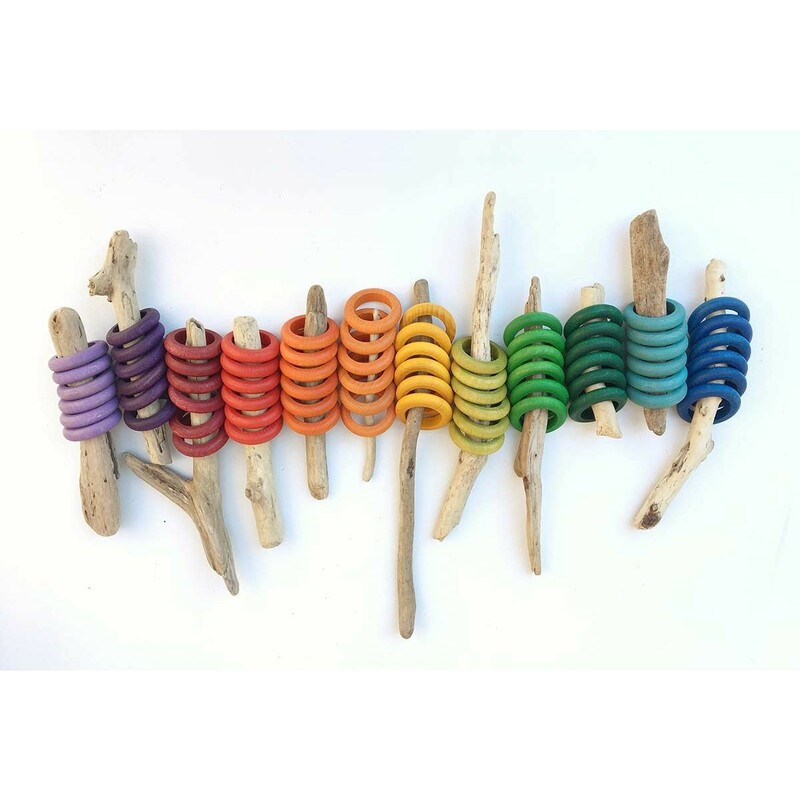 Grapat wooden rings for sorting, counting, stacking, threading and more. 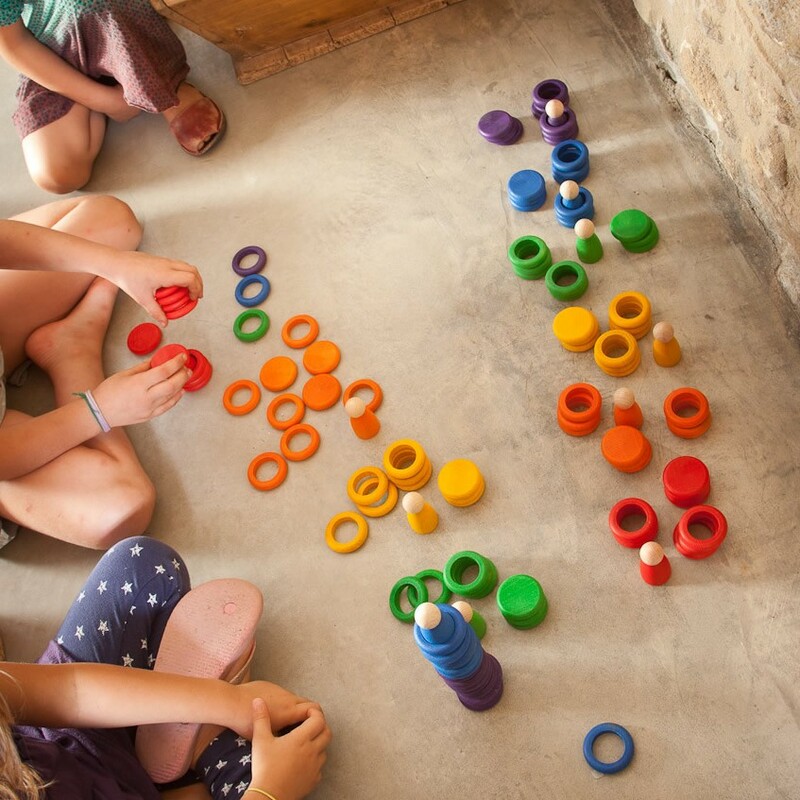 Make wheels, stack towers, play colour matching and early years counting games. 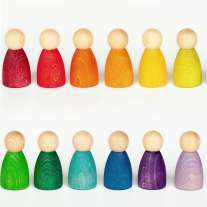 Combine with Grapat Nins® or other wooden peg dolls or block sets. 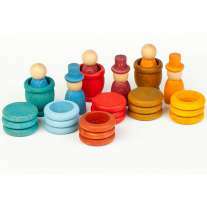 These wooden toy rings make fantastic educational Montessori toys.